Single fold bias tape is made with strips of fabric that have been cut on the bias, sewn together in long strips, and used to bind edges or add a pop of color. Double fold bias tape is single-fold bias tape that has been folded in half and pressed with the single folds to the inside. Typically there are two ways of sewing on double fold bias tape. There are two ways to sew on double fold bias tape. Single-step binding: In this application, the tape is not unfolded. You just sandwich the raw edges of the item you are binding between the folded bias tape and sew it on, making sure you catch both ends in a single line of stitching. 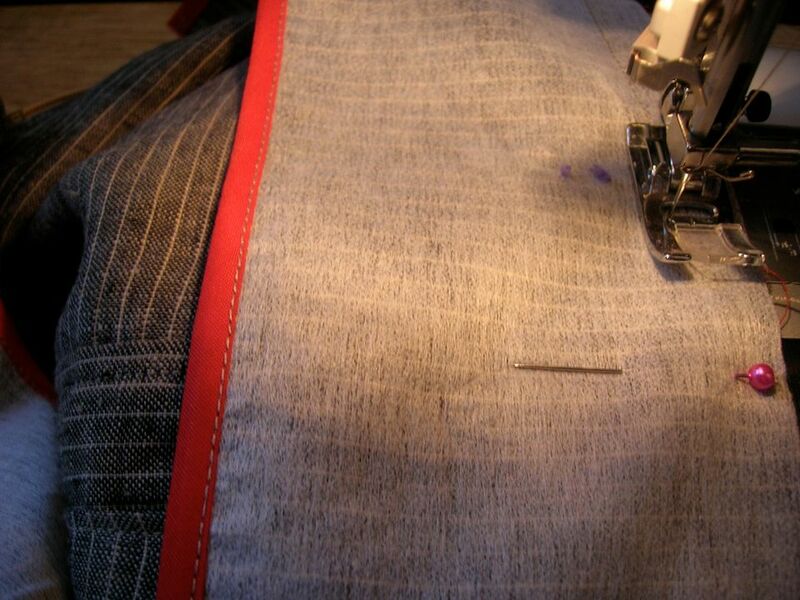 Two-step binding: In this application, the bias tape is unfolded and one side is sewn on. The tape is folded back up and the other side is sewn on. Look at the bias tape. One side is slightly wider than the other side. The narrower side is the side you want on top, for both single-step binding and two-step binding. For single-step binding, simply slip the bias tape with the narrower side on the top around the raw edges of the project you are finishing and sew it on close to the edge. Since the narrow edge is on top, you will catch both edges of the bias tape with one row of stitching. Open up the double fold bias tape all the way and find the narrower side. Pin the edges of the bias tape to the raw edges of the fabric, right sides together. Sew the bias tape in place along the fold. Now, fold the bias tape back up and flip it over to encase the unfinished edge. Press and pin it in place. Sew it about 1/8 inch from the edge on the opposite side of the first line of stitching.